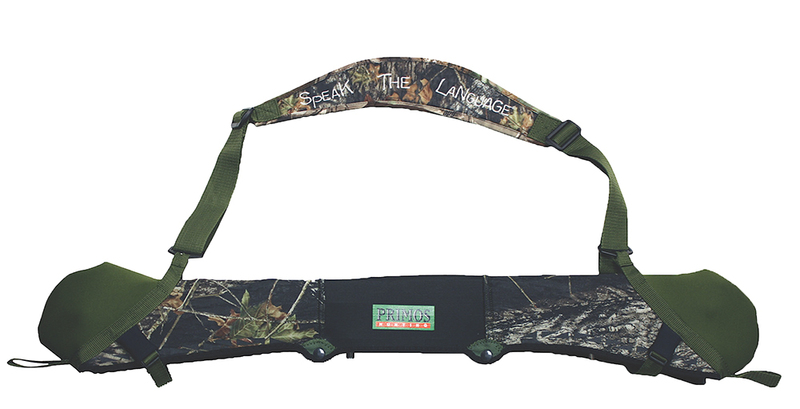 he Primos Bow Sling protects your cams, cables and strings so your bow will stay in top shape. The Neoprene Bow Sling is a must when the terrain gets rough. Your hands are free to climb hills or scan the terrain with your binoculars. Fits all parallel limb design from 28"-38" and comes in Mossy Oak Break-Up and Realtree AP Xtra.